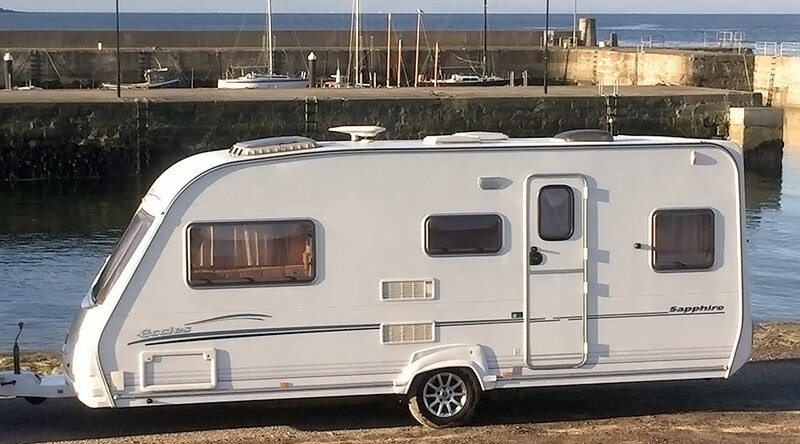 Our Swift Challenger Sport 544, 4 berth caravan does what it says on the tin! 4 berth with a double and bunk beds – it is great for families. Spacey and fully equipped – a reliable caravan for a very comfortable holiday. Why not take advantage of our towing/set up service if you are not fully confident towers? Prices from £70/day. 3 day minimum hire. Hire this lovely caravan with a central kitchen and washroom has a double bed setup at either end, with a child’s bunk above the rear bed to make a five berth if required. 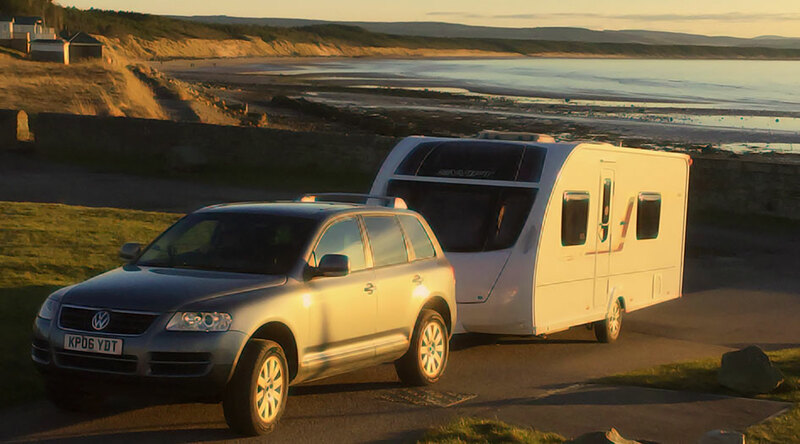 With hot water, heating, large cooker, fridge and lots of storage it is very well equipped for a relaxing break or comfortable base for exploring Scotland. Prices from £60/day. 3 days minimum hire.